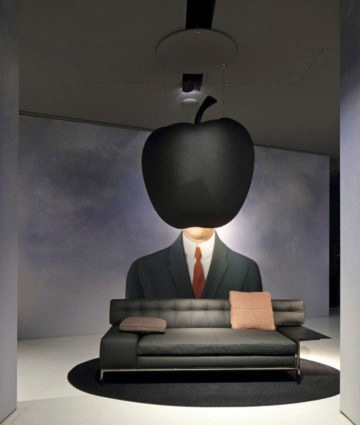 The apple is the protagonist of the project Cassina Croque La Pomme. 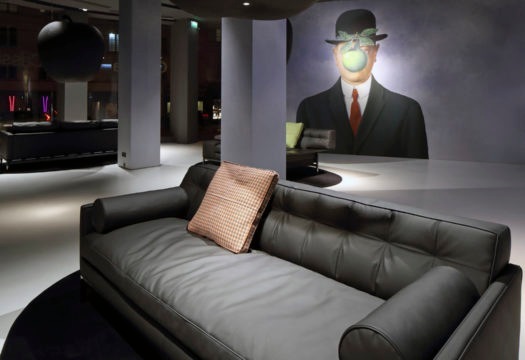 On view in Paris at the flagship store of Cassina Paris Rive Gauche, the installation created by Philippe Starck is a tribute to the forbidden fruit, the origin of everything. 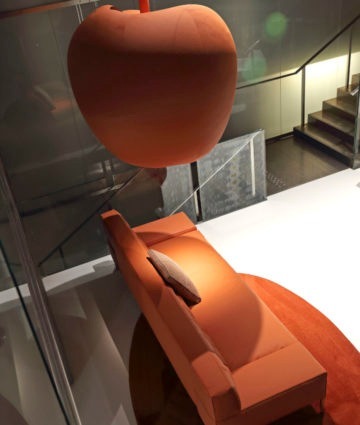 The project takes a far-sighted, experimental approach to contemporary design. It explores new forms of expression with alternative materials, like the novel Apple Ten Lork, made from apples. 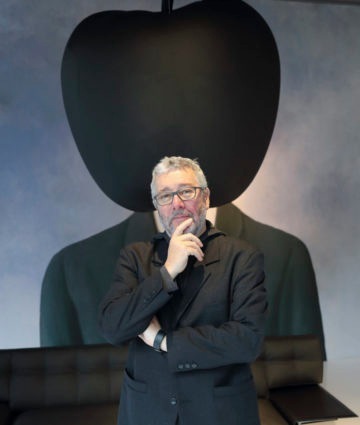 Some products designed by Philippe Starck for Cassina – the Volage EX-S sofa presented for the occasion in a new version with narrow armrests, the Privè collection and the Caprice and Passion chairs – have been reinterpreted with this innovative material, in the colors white, orange and black. A challenge, beyond the classic leather covering. 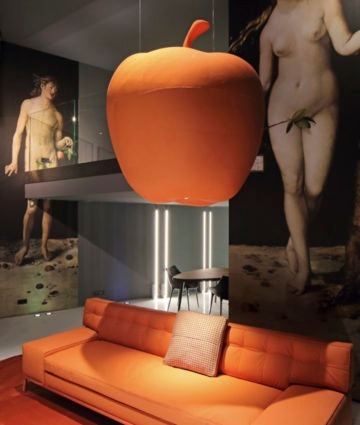 The apple is at the center of the installation in the Paris showroom with three stories developed around Starck’s “apple-clad” sofas. The first is the beginning: Adam and Eve, the origin of humankind. The second narrates Newton’s theory of gravity, discovered when an apple fell on his head from a tree. 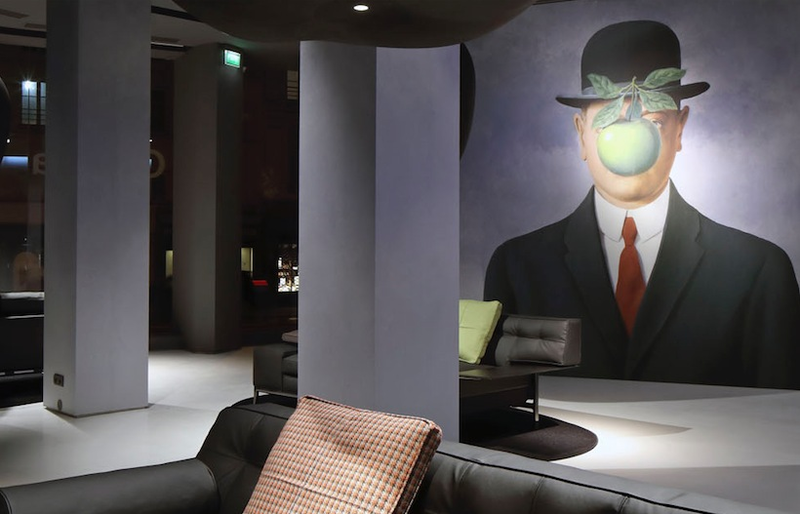 The third revives the self-portrait The Son of Man by the Belgian Surrealist Magritte: a green apple floats in front of a face, emphasizing the human desire to see beyond what is visible.